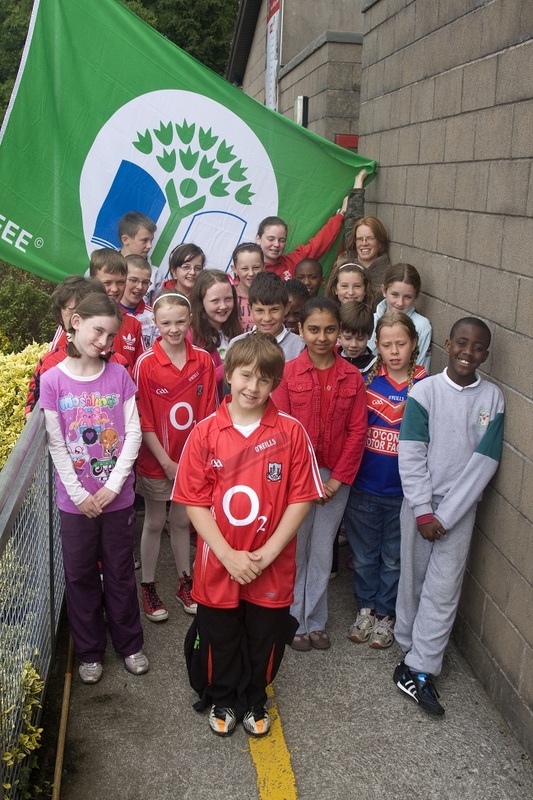 In Scoil Náisiúnta an Chroí Naofa we currently proudly fly two Green Flags, for Litter and Waste management and the other for Energy Conservation. Much hard work went into achieving these by the Green School Committees and staff at the time. Work on this theme continues throughout the school to this day. What are we doing to manage our litter and waste effectively? We try to reduce the amount of waste we produce by reusing plastic/bottles/paper where possible. Recycling of all our cardboard, plastic and paper. The use of ‘scrap paper’ where possible. Attempting to cut down on photocopying in general through the use of copies and textbooks. The encouragement of printing and photocopying on both sides of a sheet of paper. 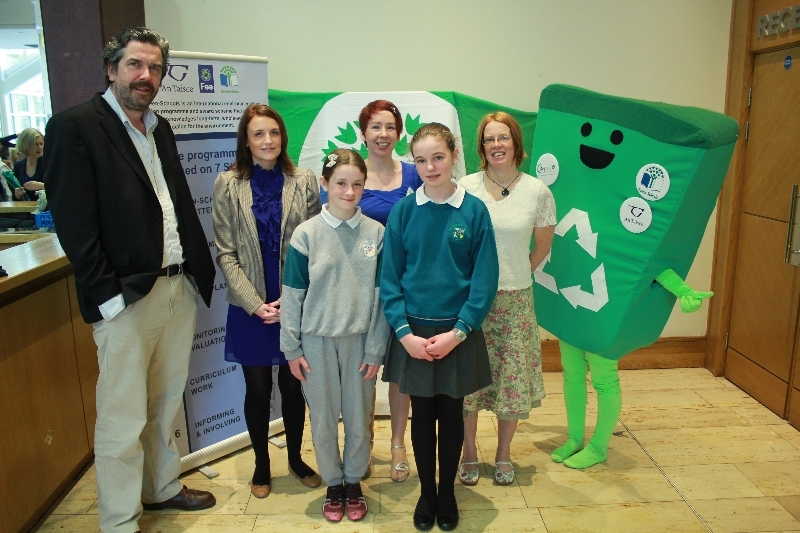 Children bring their brown waste home and we encourage parents to compost this at home. We started a school garden where fruit, vegetables and flowers were grown. Due to the ongoing building work this is on hold at the moment but once possible we will be busy in the garden again. We are in close contact with the Glounthaune Tidy Towns committee and endeavour, with them, to maintain a clean and tidy community. 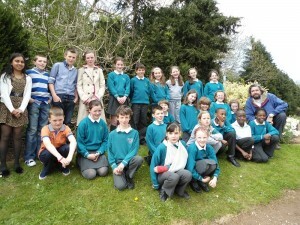 In June 2012 the school was awarded the second Green Flag. 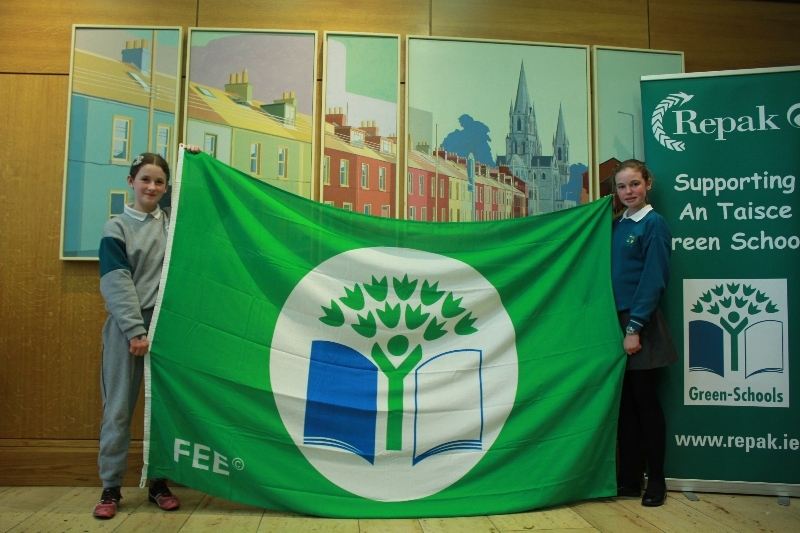 This flag is given to schools who achieve a very high standard in the area of energy conservation. Leading the children and the school through this energy conservation journey for 12 months were Ms. Riana Parsons and Mr. Frank McCarthy. The two teachers set up a committee of students who worked very hard to educate the rest of the school on this very topical and very interesting project. 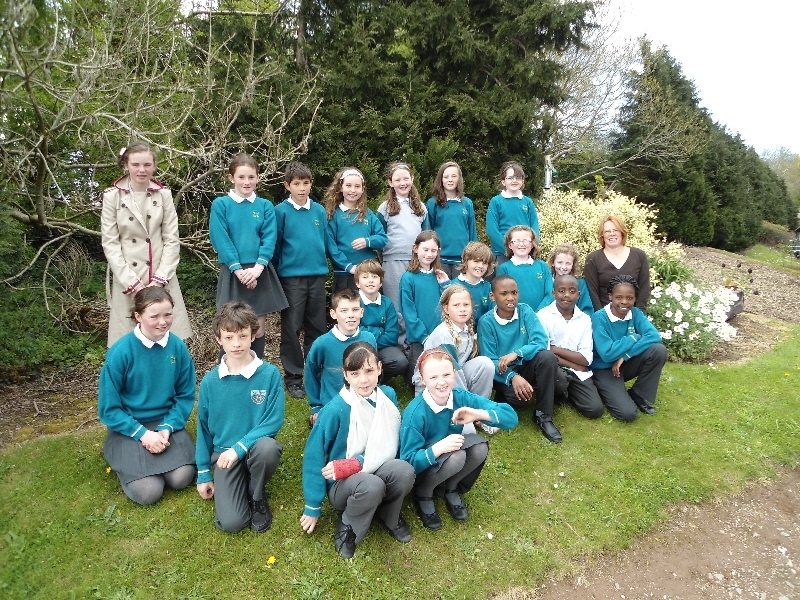 For the second Green Flag, the then Green School Committee worked hard to analyse our use of energy in the school. We carried out a full energy audit throughout the school and identified where we use energy in school and more importantly, where we waste energy in school. The committee worked tirelessly at passing on the ‘Green Message’ to their classmates and teachers to build awareness of what we can do to reduce our energy consumption in school. We hope that this message gets into every home too, and together we can become a greener community. How have we changed things in school to reduce our energy consumption? How do we conserve energy day to day? It was amazing to see how much energy could be saved with some effort and analysis. The school is much more efficient energy wise as a result and more importantly the children are much more clued in to energy waste and energy savings which they will no doubt take with them into their teenage and adult lives. Mr. Jimmy Barry Murphy dropped in that day to help us with the raising of the Green flag and a number of parents came along to share in our happy day. The next flag we will be applying for is the Water Conservation Flag. We will work towards improving awareness and educating children and staff as we continue to work towards becoming a more energy efficient school. Through the geography and science curricula in school we place an emphasis on environmental awareness and care. 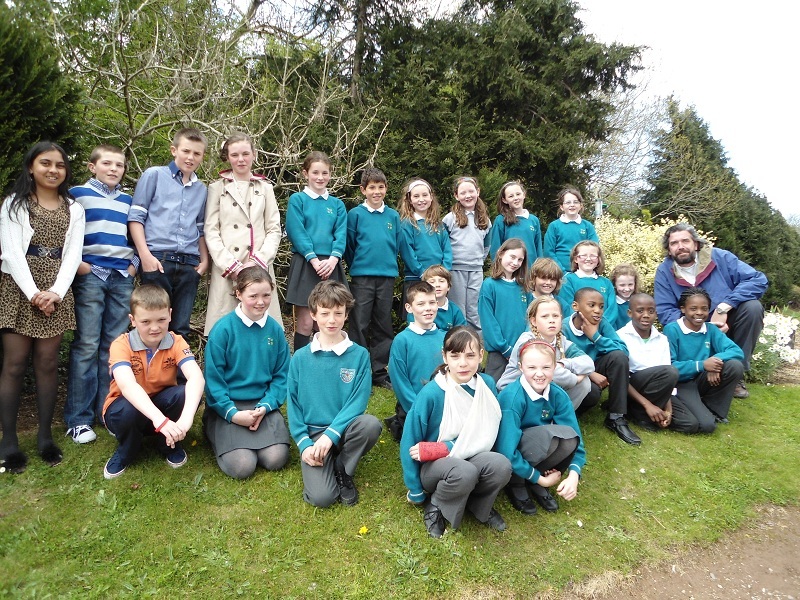 We tutor children throughout their time in Scoil Náisiúnta an Chroí Naofa in looking after their environment. We strongly believe that the Green message we give our children can be passed on at home and encourage parents to adopt a similar ethos to ours. We regularly send home information in our school publication, Eolas, about our efforts in school, and pass on ideas for families and what they can do at home to work towards a greener future.